Short Story Revival: True or False? The “wishful thinking” comment led me to do some research – it’s what I do, and I didn’t even need to Google; I went straight to Amazon’s bestsellers’ list. I compared Short Stories with the Romance, Fantasy and Science Fiction genres. I also looked at the list of Fiction Classics. You can draw your own conclusions from the results. The #1 bestseller in the Romance genre was overall #1 bestseller on Kindle, and even the #100 bestseller in Romance (#231 overall ranking) ranked higher than the #1 bestseller in the Short Stories category (#261 overall ranking). Romance lived up to its reputation and came out well on top. However, in the Fantasy bestsellers list, only fourteen books (fourteenth book ranked #260 overall) ranked higher than the top ranked book in Short Stories. Similarly, only twelve books (twelfth book ranked #259 overall) performed better in the Science Fiction genre. Compared with Fiction Classics, short stories performed well – only four books (fourth book ranked #196 overall, fifth book ranked #531 overall) in the Fiction Classics list ranked higher than the top ranked book in Short Stories. The evidence suggests that, apart from Romance, short stories in e-book format are now on a par with other popular genres. Readers seem to enjoy the variety that short stories offer interspersed among their favorite authors and books. One reason for this might be that a short story can be read in the space of a bus ride or train journey, especially with all the new forms of electronic reading devices and the increasing number of online e-book retailers. This revival of the short story in electronic format has created an opportunity for writers that might not have presented itself otherwise. Many new and exciting writers are keen to reach out to readers by providing them with stories that entertain and enthrall. The demand from readers is there and authors are matching it. The opening quote above is from the talented writer, Lori Myers. Lori is one of three Pushcart nominees (Elynne Chaplik-Aleskow, Murray Dunlap and Lori M. Myers) who contributed short stories to Forever Families, the third in the Forever series of anthologies – Forever Friends (2008), Forever Travels (2010) and Forever Families (2012). Lori’s touching story about a sister and brother, who have grown apart, is just one of twenty-seven stories that vary in length from concise to extensive. Every story, whether short or long, offers a unique look at family life. While some are poignant, others raise a smile. The seven sections that make up the book take the reader through the joys of a happy childhood to the sadness of a death in the family, with fond family memories, faithful family pets, risky family business ventures, eventful family weddings and the ups and downs of family life in between. 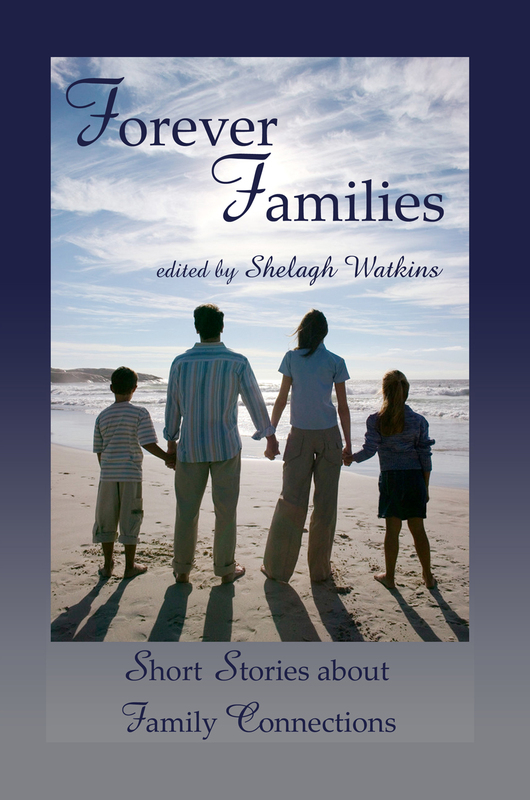 So, find a comfortable chair, download the book to your e-reader, then sit back and enjoy the diversity of reading experiences in Forever Families.